Here is the updated galley with the ice box installed. Forward of the sink I built a matching insert to house a dust bin and bulky stores. 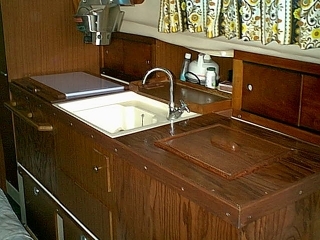 Above the storage is a cutting surface which can be lifted out and used as a serving tray in the cockpit. 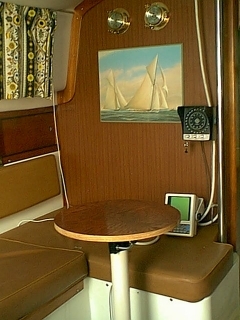 A sea swing stove is mounted above.